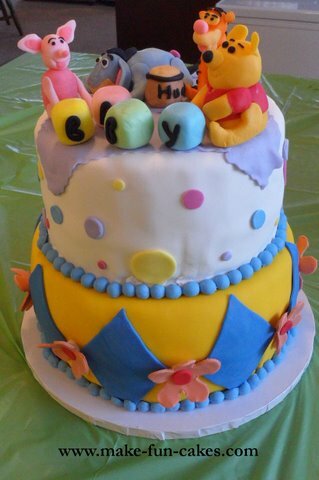 A Winnie the Pooh cake can be a wonderful baby shower cake for either a boy or a girl. Sometimes expectant moms choose not to find out the gender of their baby and aim for a general baby shower theme. Winnie the Pooh cakes are just what is needed for a gender-neutral baby shower. 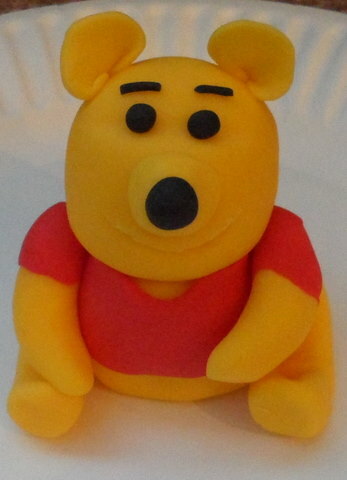 Winnie the Pooh and friends make great baby shower cake toppers. 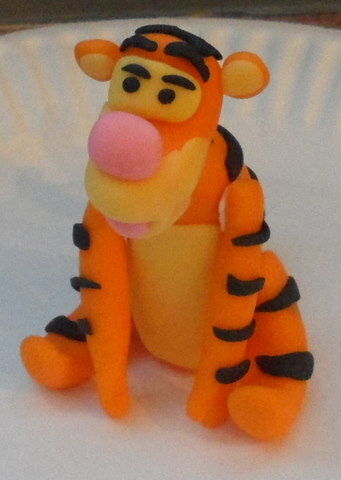 Making Winnie the Pooh, Tigger, Piglet and Eeyore figures from fondant or modeling chocolate can add the personal touch you are looking for. I made two tiers of baby shower cakes because there were many guests expected. The top cake layer was vanilla cake with strawberry mousse filling and cream cheese frosting. The bottom layer was devils food chocolate chip cake with marshmallow crème filling and cream cheese frosting. Both cakes were covered with Satin Ice fondant and had fondant decorations. 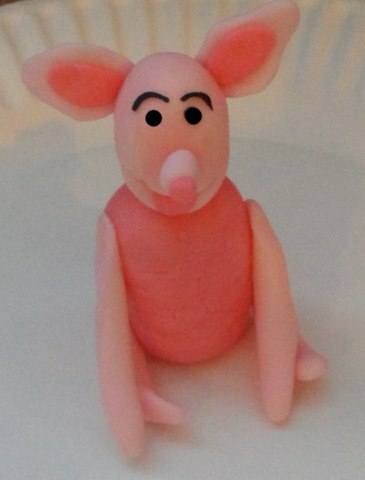 At least one week before making the cake, create the baby shower cake toppers. Use any Pooh characters you would like. I chose Winnie the Pooh, Tigger, Piglet and Eeyore. I also made a honey pot and 4 blocks with "B A B Y" on them. It is important that each cake topper has time to dry completely or you may find them falling apart on the day of the shower. Make any flower decorations you desire and let them dry in flower cups to give them some dimension. Bake your cakes according to the recipe of your favorite cake. Allow cakes to cool. If you want to add a filling, do so, but keep in mind that some fillings require refrigeration. 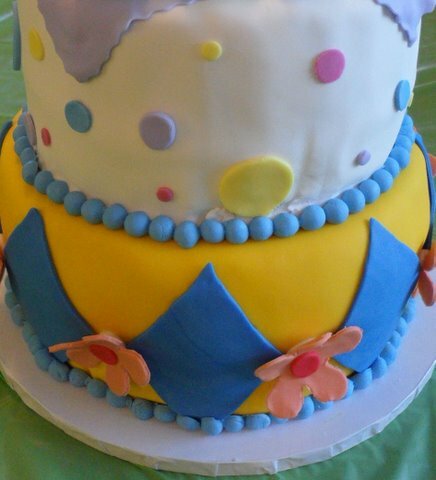 Cover the bottom cake tier with fondant. Cut out the diamond fondant decorations. Use gum glue to attach the diamonds to the cake. Make the fondant pearls and attach to the cake with gum glue. Add any fondant flowers you desire. Center the 8-inch cake pan on top of the 10-inch cake and make tiny holes with a toothpick to mark the spot where the cake will lie. Measure the height of the 10-inch cake and cut supports for the cake with plastic or wooden dowels. Insert at least 5 dowels into the center of the 10-inch cake. 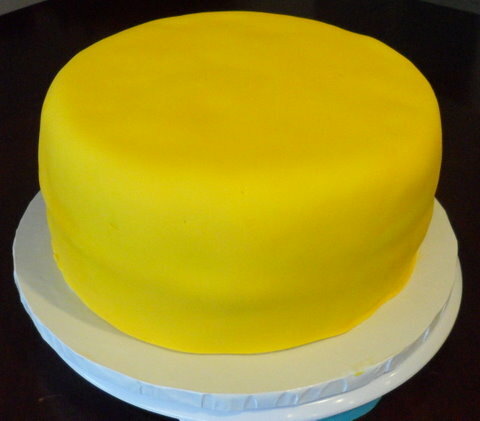 Cover the 8-inch cake with fondant. Cut out round fondant circles of various colors and sizes and attach to the cake with gum glue. Place the 8-inch cake on top of the dowels, centered according to the tiny marks you made with the toothpick. Attach the border to the top cake. Finally, cut a 8-inch square piece of fondant for the top of the cake. 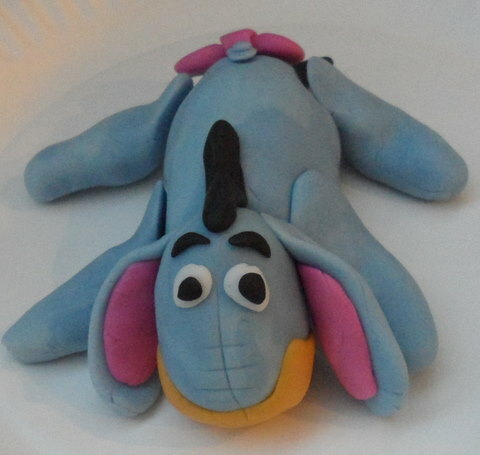 After centering it on top of the cake arrange all of the Winnie the Pooh fondant cake toppers on the cake. 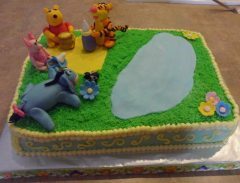 Your Winnie the Pooh cake is now ready for the baby shower. 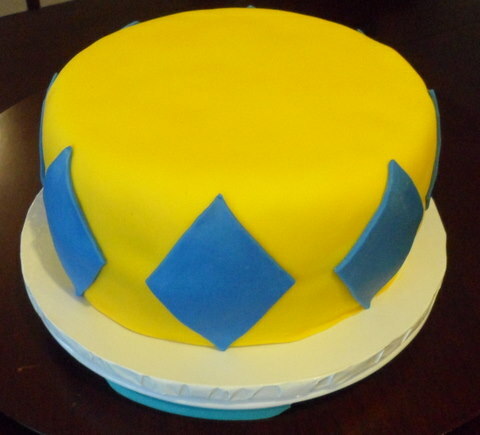 This cake can easily be converted into a birthday cake for any Winnie the Pooh fans. 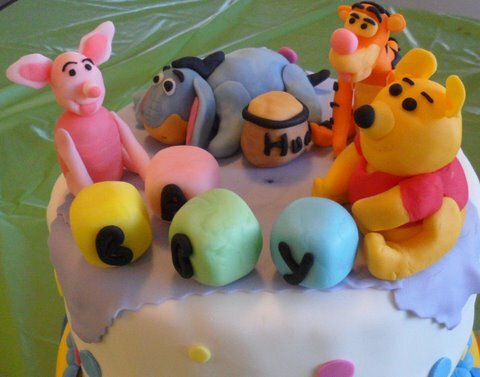 A Creative Winnie the Pooh Cake? Brag a little bit! We want to see your fabulous cake. Share your experience with our cake decorating community. 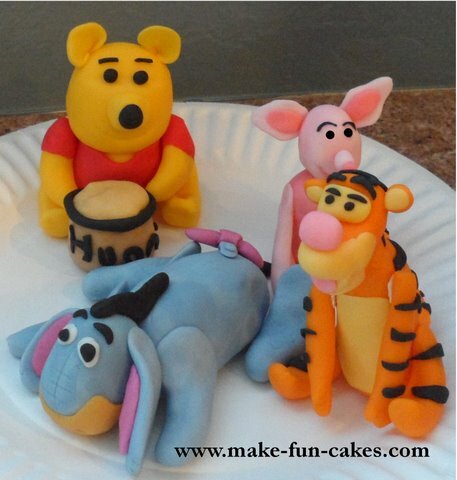 Looking for more Winnie the Pooh cake ideas? Check out these other great cakes. 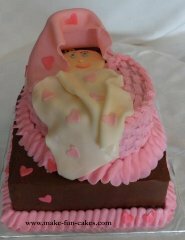 Interested in other baby shower cake ideas? Click here for more cake pictures.